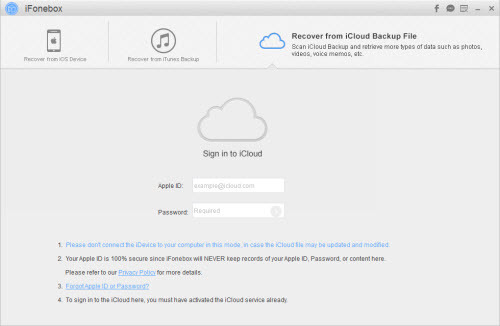 How To Restore Contacts from iCloud Backup? If you want to restore contacts which you have lost or deleted unintentionally to your iPhone, there are a couple of different ways. Go to Navigate to Settings > General > Reset > Erase all contents and settings on the device you want to restore. When this completes and the Set-Up Assistant starts, choose “Restore from iCloud Backup” and enter your iCloud account and password. You will see the three most recent backups for each of the devices on which you enabled Backup. Choose which backup to restore from. > Ensure the device is connected to your local network. > Start the restore from iCloud back up. > Allow the devices settings to restore (watch for the confirmation of completion). > As the apps begin to restore pull the connection to your router WAN port (the one that goes to the telephone point). > Wait for the time out confirmation. > Navigate to settings > iCloud and turn off contact syncing (keep contacts when prompted). > Reconnect the router to the internet and let the restore process complete. > Delete any iCloud contacts from iCloud.com on a computer. > Navigate to settings > iCloud and turn on contact syncing (merge contacts when prompted). The drawback in restoring iCloud data from a back up is that the back up is older than the current version on iCloud and anything that is restored gets removed again when an iCloud sync occurs. If you want to restore contacts selectively from iCloud backup, please read more. > Log in to iCloud.com. > Click Restore Contacts located in the column of “Advanced”. > Click the tab of “Restore Contacts”. > Select an archive of contacts and click to “Restore”. The problem of restoring contacts from iCloud.com is that you cannot select certain lost or deleted contacts items to restore. 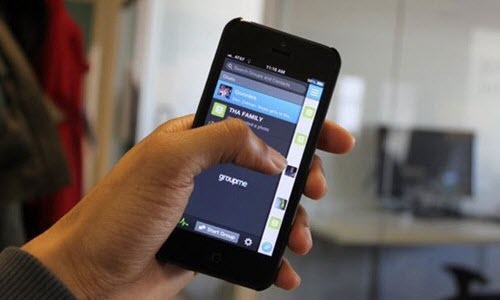 If you want to restore the lost or deleted contacts items only to your iPhone, please read more. To recover contacts selectively from iCloud backup, I would like to suggest a specialized iPhone data recovery software iFonebox which is capable of extracting contacts selectively from the iCoud backup and transfer contacts to iPhone without causing any data overwriting or deleting. Please note that iFonebox is available for both Windows and Mac, please choose the right version to download and install. > Choose the recovery mode of “Recover from iCloud Backup”. > Sign in without iCloud account. > Choose the iCloud backup from which you want to download the contacts. > Wait until the downloading completes. The downloading process may take quite a while, please wait patiently. > Choose contacts to scan selectively after the downloading from the interface listing all the supported data types. > Wait until the data analyzing and scanning completes. > Preview the extracted contacts items and choose the items you need and click “Recover to Device” to transfer to your iPhone. How Do I Export Contacts To .csv Format From iPhone? How To Back Up iPhone Contacts Selectively and Properly? This entry was posted in Backup/Back Up, iCloud, iPhone, Tips and Tricks and tagged restore contacts from icloud, restore contacts from icloud backup, restore contacts to iphone selectively by IosdroneD. Bookmark the permalink.